Preschool Story Hour Annual Beach Party! 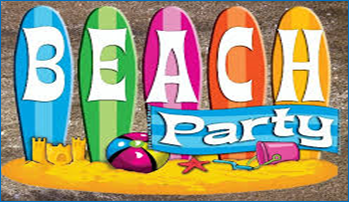 « Preschool Story Hour Annual Beach Party! Beach Party in February! 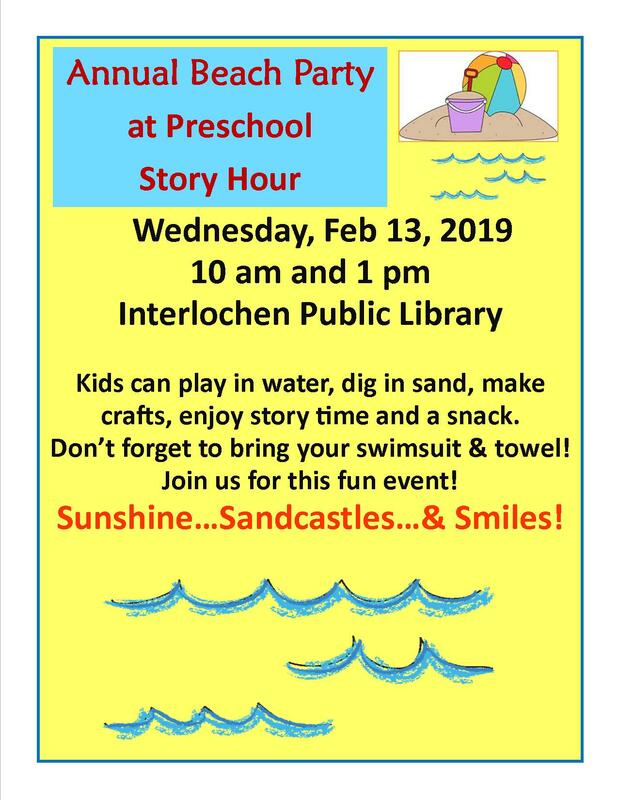 Join us for our Annual Preschool Story Hour Beach Party at Interlochen Public Library, Wednesday, February 13 at 10 am and 1 pm. Children will enjoy this story hour by playing in sand, splashing in water, songs, snacks and a craft. Wear beach clothes and bring a beach towel. This free event is sponsored by the Friends of Interlochen Public Library.